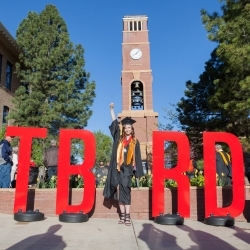 Cedar City, UT, March 28, 2019 --(PR.com)-- Southern Utah University is excited to announce that Governor Gary Herbert and the Utah State Legislature have approved and funded a three-year bachelor’s degree pilot program. SUU received $3.8 million ongoing funding for the project and will be ready to launch the program in January 2020. Southern Utah University (1897) evolved from a teacher training institution to a public regional university, offering more than 140 undergraduate and 17 graduate programs. With world-class project based learning, unique undergraduate research opportunities, and a personalized learning environment (19:1 student to faculty ratio) students lead projects mentored by expert professors. True to the University's core vision, SUU faculty, staff and administrators enable students to honor thought in all its finest forms, achieve excellence in their chosen field, and create positive change in the world. Utah Legislature Approves 3-Year Bachelor Degree Program at SUU.